That meant lining up before dawn in freezing temperatures to be able to get a glimpse of the man who so few had ever seen in person. Some were tourists who happened to be visiting New York City during his trial and wanted to be able to say they had been in the same room as El Chapo. Some were attorneys who wanted to see the prosecution and the defense teams at work on this historic case. The desire was understandable, as the only images that could come out of the courtroom were sketched by courtroom artists — federal court rules prohibit photography or video. 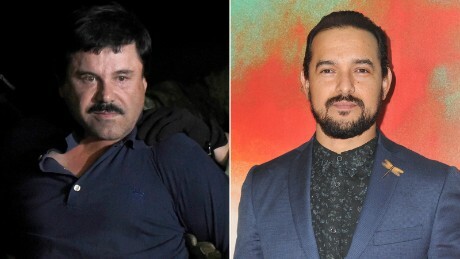 And there was so little video of Guzmán to begin with that even the “Narcos” actor who portrays him in the Netflix series came to court to be able to observe his mannerisms, pointing out that there is so little video of Guzmán, since he has either been in prison or in hiding from 1993 to today. 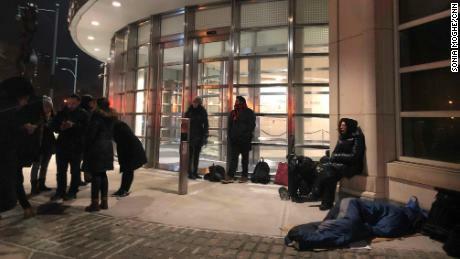 Journalists would also line up, sometimes in sleeping bags starting before midnight, to make sure they could be in court to get the details needed to cover the case. On some days, if you didn’t get to court by 5 a.m., you risked having to cover that day of trial by watching a grainy courtroom video feed where you could barely see the defendant and couldn’t see the reactions of the jurors or Guzmán’s wife, Emma Coronel, to the testimony. Without being in the courtroom, you wouldn’t have been able to see Coronel’s reaction when her husband’s former girlfriend, Lucero Sanchez, took the stand to testify against him. “Until today I’m confused, I thought it was a relationship romantically, as partners,” Sanchez said, eliciting laughter from Coronel, who was married to Guzmán at the time the pair were engaged in a relationship. On the next day of Sanchez’s testimony, Coronel and Guzmán both wore plum colored velvet blazers to show their united front. Security was so tight surrounding the trial that the public would go through two security screenings — one to enter the courthouse, and another just to enter the courtroom where Guzmán’s trial was underway. You’d have to remove your shoes, and defense attorneys would even have their coffees wanded by security in the morning. In the midst of the trial was the government shutdown, which left many courthouse workers without paychecks. The prosecutors who worked seven days a week during the trial didn’t get paychecks for weeks. And while some jurors expressed fear about having to serve on a trial where they would face the notorious drug lord, as the trial progressed the 12 jurors and eight alternates seemed at ease, sometimes laughing and chatting with each other during short breaks. But on Tuesday, as their unanimous verdict was read by District Judge Brian Cogan, each one of them kept their eyes lowered, avoiding eye contact with anyone else in the courtroom. Before Guzmán entered court, you heard the clanking of chains that kept him in custody. Moments later, Guzmán, 61 but without a gray hair on his head, would appear in a suit and tie, smiling and shaking hands with the attorneys handling his trial: Eduardo Balarezo, Jeffrey Lichtman and William Purpura. He would start most mornings of the trial by smiling and waving at his wife — the only interaction he could have with her while in custody. It was a sharp contrast to what life was like for Guzmán on days when there was no trial. On the weekends, he would be kept in solitary confinement, with little to no human interaction for as many as 23 hours a day. 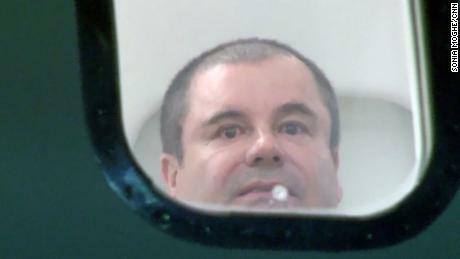 Because of Guzmán’s history of escaping from prison and communicating with cartel members while in Mexican prisons, “special administrative measures” were put in place: He cannot visit with his wife or children, and no one is allowed to have physical contact with him, other than his attorneys. Attorney Michael Lambert was part of the team that visited Guzmán and worked with him to go through the evidence that would be presented against him in court. “Anyone in this position would need not only legal counsel but also human contact,” he said. One of the people who had the most contact with Guzmán was a lesser-known fixture who sat at the defense table, often next to Guzmán himself. Mariel Colon, 26, had only been admitted to the New York bar for less than 48 hours when she began representing Guzmán as one of his attorneys for his trial. She first connected with him when she worked as a paralegal. 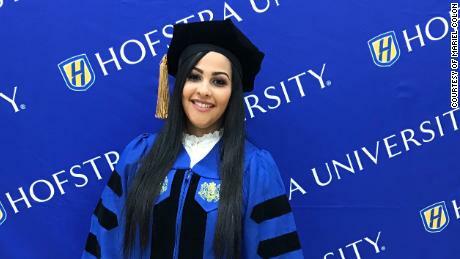 Colon graduated from the law school at Hofstra University in December 2017, took and passed the New York bar in February 2018, and while waiting to officially be admitted to the New York bar, took a job as a paralegal at a firm that was representing Guzmán. She would meet with Guzmán regularly to talk about his upcoming case. “Once I got admitted to bar, Mr. Guzmán decided he wanted to keep me on his team as an attorney,” Colon said. After spending the day in court for Guzmán’s trial, Colon would then spend three to six more hours meeting with Guzmán in a secure holding area where attorneys are allowed to meet with clients. She’d meet with him as much as seven days a week, where she would review evidence with him and his notes. Colon appeared to be at ease with Guzmán throughout the trial, laughing and talking with him as well as his wife. She said she was never scared of the man who witnesses said ordered executions and interrogations.